Emphasizing evidence-based therapy for critically ill or injured dogs and cats, Small Animal Critical Care Medicine, 2nd Edition puts diagnostic and management strategies for common disorders at your fingertips. It covers critical care medical therapy, monitoring, and prognosis - from triage and stabilization through the entire course of acute medical crisis and intensive care treatment. To make therapeutic decisions easier, clear guidelines address underlying clinical findings, pathophysiology, outpatient follow-up, and long-term care. 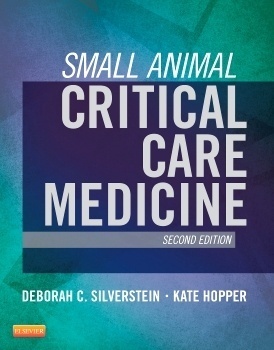 From lead editors Deborah Silverstein and Kate Hopper, along with a Who’s Who of experts from the veterinary emergency and critical care world, this comprehensive reference helps you provide the highest standard of care for ICU patients.